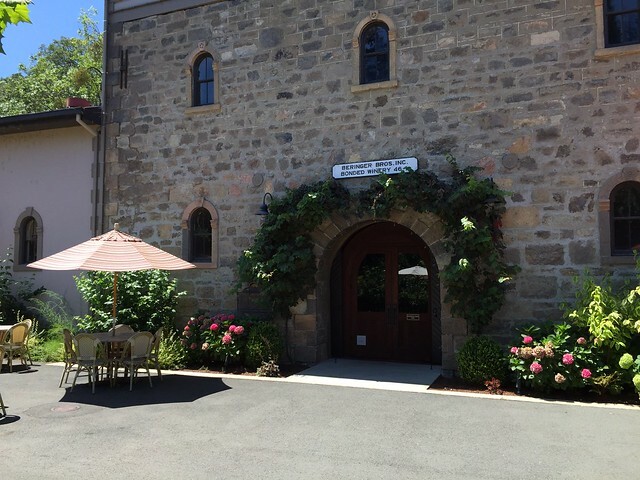 Working out of St. Helena from January through November of 2015, I have started exploring California Historical Landmarks in Napa, Sonoma and Lake Counties, including: Site of Stone and Kelsey Home [#426], The Battle of Bloody Island [#427], Sulphur Bank Mine [#428], Lower Lake Stone Jail [#429], Stone House [#450], Old Bull Trail Road and St Helena Toll Road [#467], Chiles Grist Mill [#547], Schramsberg [#561], Charles Krug Winery [#563], Site of York's Cabin [#682], Site of Hudson Cabin [#683], Sam Brannan Store [#684], Sam Brannan Cottage [#685], Site of Kelsey House [#686], Beringer Brothers Winery [#814], Old Lake County Courthouse [#897], Petrified Forest [#915] and Litto's Hubcap Ranch [#939]. I visited all seven of the California Historical Landmarks in Lake County and finished visiting all of the Napa landmarks. This landmark is located at 2000 Main Street, St. Helena, California. There are 16 other California State Historical Landmarks in Napa County. The GPS coordinates for this location are N 38° 30.630 W 122° 28.856. 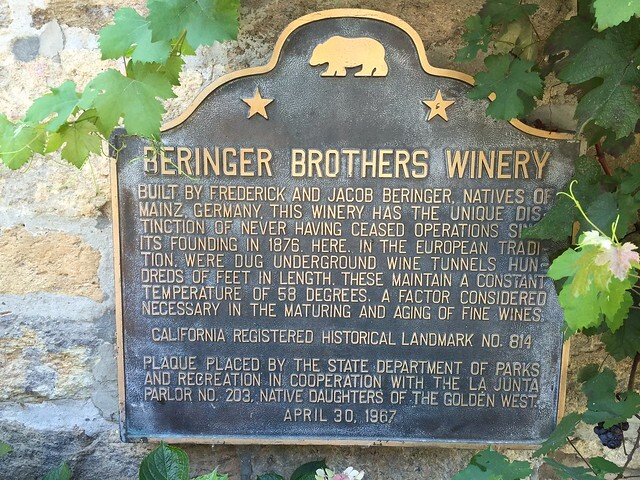 Built by Frederick and Jacob Beringer, natives of Mainz, Germany, this winery has the unique distinction of never having ceased operations since its founding in 1876. Here, in the European tradition, were dug underground wine tunnels hundreds of feet in length. These maintain a constant temperature of 58 degrees, a factor considered necessary in the maturing and aging of fine wines.